I know I will not make it through all twelve months; if I’m able to read four books, I will be pleased. But this challenge will force me to read books that I wouldn’t normally choose independently, so it has its benefits. Plus I probably can find a reading buddy or two within the group and what better reason to join than that! 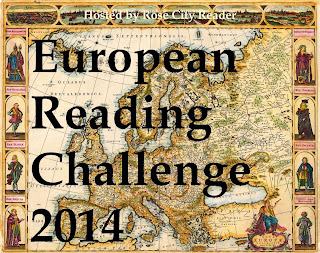 While I didn’t have a blog last year, I did particiapte in the 52 Books in 52 Weeks Challenge. Robin is the host and she encourages participants to answer questions at the end of the year, to review their reading experiences. I admit, I haven’t completed the questions previously but, with a new blog, this year I thought I’d give it a go! 1. How many book did you read this year? 2. Did you meet or beat your own personal goal? My personal goal was 65 books, so I beat my challenge. 3. Favourite book of 2013? to intimately explore Heaven, Hell and Purgatory. 4. 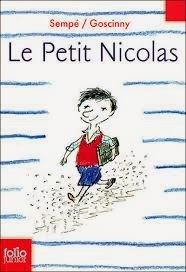 Least favourite book of 2013 and why? I have no problem answering this! 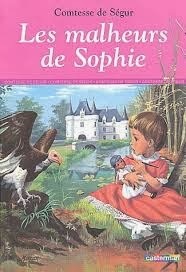 Rebecca by Daphne du Maurier. the end of the story. Never again unless by torture! just as strongly as all the others. Just, WOW! 6. 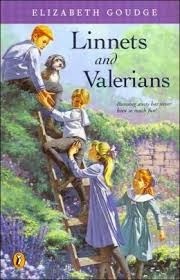 One book you thought you’d love but didn’t? Walden Two. I expected a good utopian read. What I got was B.F.
attempt to engage with the reader. Finland with her grandmother, and of their relationship together. 7. One book that touched you — made you laugh, cry, sing or dance. struggles with the reader. As enjoyable as a book on war can be. 9. 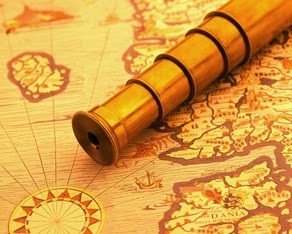 Name the longest book you read? The shortest? shortest was Cautionary Tales for Children by Hilaire Belloc at 72 pages. 10. Name the most unputdownable book you read? The Brain That Changes Itself was fascinating! 11. Book that had the greatest impact on you this year? 12. What book would you recommend everybody read? 13. Share your most favourite cover. pick up the book and read! 14. Do you have a character you fell in love with? challenges but I’ll certainly be considering some for 2014! My goals for 2014 are to read less books and to spend more time with the books I read. I want to take the time to read over passages that resonate with me, be able to ponder the thoughts the book has provoked, and leave time to journal. The beginning of the year is shaping up to be busy; I have probably too many books scheduled to read but I am feeling positive about starting the year off without many leftovers from 2013. All the best to everyone for 2014! In Celebration of Christ’s Birth, A Merry Christmas to You All !!! 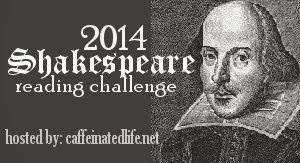 Found on Howling Frog Books and hosted by Michelle, this is the perfect challenge for me. Like the Classics Club, this challenge is over a 5-year period so my challenge dates are December 22, 2013 to December 21, 2018. You can check out my non-fiction book list on the sidebar. books must be non-fiction, ie. biography, autobiography, history, memoir, cooking, travel, science, etc. it is mandatory that your list be made in advance so you have something to work towards. Why is this the perfect challenge? 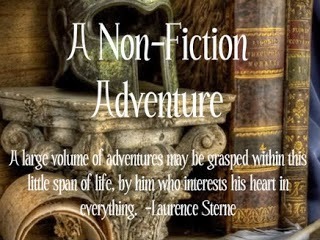 Because I have a number of non-fiction books that are sitting on my shelves and, although I am interested in reading them, I often tend to default to fiction. This challenge will get me focussed on an area that I really need to address. Perhaps this is the perfect challenge for you too! 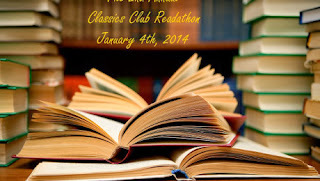 The Classics Club is having their 2nd Annual Read-a-Thon and I’ve decided to participate ……. or at least do my best. It begins at 8 a.m. on January 4th, 2014 and ends 24 hours later on January 5th. What a great way to finish off some of those pesky classics that you weren’t able to complete for 2013 and get ready to start a new year! My guess is that I will be trying to finish War and Peace, Tales of Ghosts and Men, and will be trying catch up to the schedules of David Copperfield, and His Excellency, Eugene Rougon. If a miracle happens and I happen to finish a few of these books before 2013 ends, I will have The History of the Ancient World, The Lion The Witch and the Wardrobe, The Wizard of Oz and The Great Gatsby to start off the year. I’ve never participated in a Read-A-Thon before and I’m really looking forward to it! Here it is! The challenge I have been waiting for! 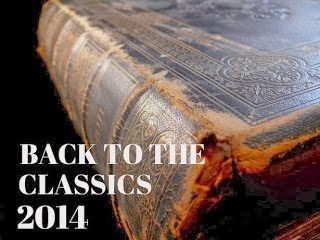 Back to the Classics Challenge 2014 is being hosted this year by Books and Chocolate. She has taken over for Sarah at Sarah Reads Too Much and has already done a wonderful job organizing this challenge. This year there are six required categories and five optional categories. She also has made another rule: All classics must be published 50 years ago or earlier, so nothing before 1964 will be considered a classic. Please check out her blog for information on prizes and additional explanations. 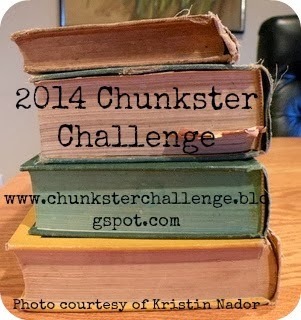 Even without a blog, I participated in this challenge every year. It is my easiest challenge and probably the most fun for me. So if this challenge sounds like fun to you too, pop over to Books and Chocolate to check it out. And good luck to everyone! 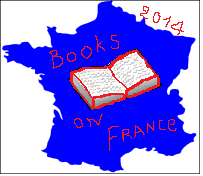 Words and Peace is having a Books on France 2014 Reading Challenge. Since I am going through the Rougon-Macquart series by Emilé Zola, this will be an easy challenge for me. about a French theme: French cuisine, French fashion, etc. Please see her post for details about a special giveaway! I will go for LEVEL 1, because I’m not sure if I will make LEVEL 2 but I will give it a try. The time is 399 B.C. and Socrates has been charged with the corruption of youth and for believing in gods other than the gods of Athens. His defence? He was told by Chaerophon, a companion of his, that the gods at Delphi had declared that no one was wiser than Socrates, and Socrates, knowing that he was neither great nor wise, set out to find a wiser man than he. But ….. surprise! …… with each man, or segment of society Socrates questioned, he discovered that, while most men had knowledge, they were lacking wisdom and, as of the date of the trial, it does not appear that he has found one wise man. So what made these respectable men of Athens so enraged that they demanded Socrates’ death? 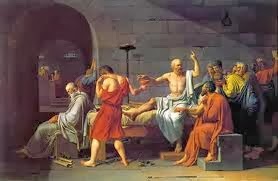 Perhaps the problem was that Socrates didn’t merely question men …… he grilled them, he roasted them, he flambéd them, he broiled them and he probably verbally flogged them, before going on his merry way. Is it any wonder that a large segment of Greek society was out for his blood? Yet Socrates was not ignorant of his unfortunate affect on people. 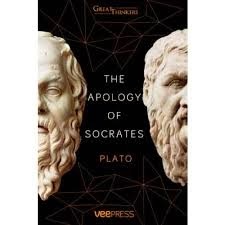 He was aware of the brooding animosity of the enemies he had left scattered in his wake, but he proclaimed that his duty to God, nay, his responsibility to God, was to answer the question that was set before him: Is Socrates the wisest man? As far as Socrates was concerned, he had a duty to God and to truth to fulfill his purpose and nothing was going to sway him from this quest. His rhetoric is brilliant but he really makes no effort to placate his accusers. Though his life is important, which is evidenced by his attempt to refute the charges, there is something he places in much higher esteem: the truth and his obligation to it.